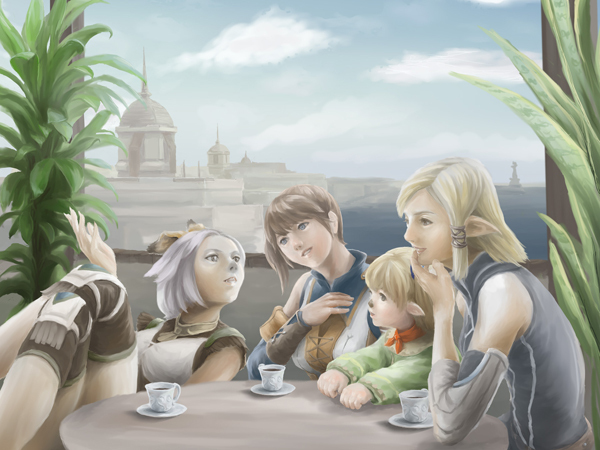 The first-ever official fan art contest is over, and after sifting through over 500 outstanding entries from across the world, our panel of judges formed from members of the FINAL FANTASY XI development team, our international management teams, our localization teams, and more have selected a handful of entries that shone out from the rest. After weeks of deliberating over hundreds of worthy entries, our panel of judges finally narrowed the field down to 26. Here they are, with comments from the artists and the judges. Am I the only one who is happy just browsing the food up on the auction house? 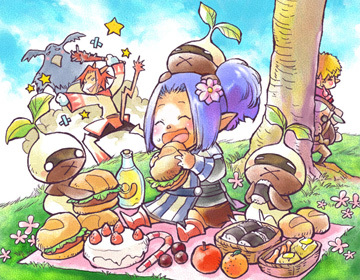 The Mithra pitted in mortal combat with a deadly Yagudo, the hungry Tarutaru and Goblin peeking out from behind the tree, and the light-hearted girl and her mandragora companions completely oblivious to their surroundings--all aspects of this painting portray a vibrant story, rich in theme and color. The next time someone has to eat during a heated battle, maybe they should remember this painting to relieve the tension of the situation. 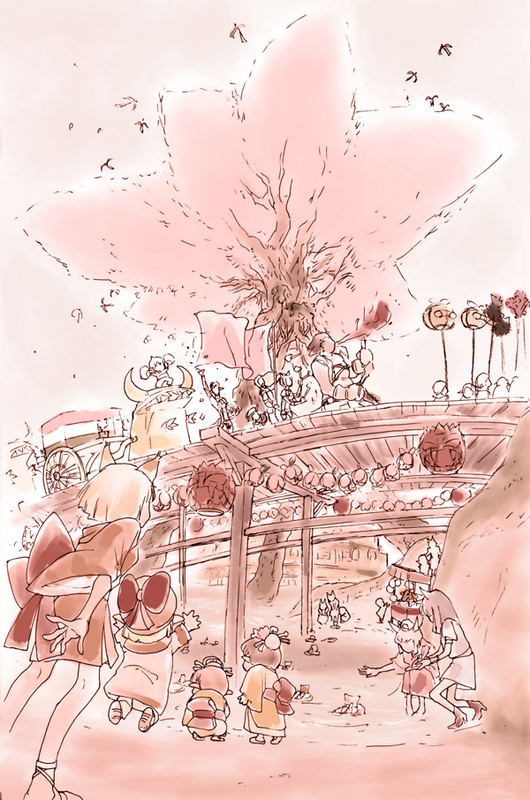 I've tried to make a Vana'dielian version of the seven-stepped platform used during the Doll Festival. The Far Eastern Doll Festival has been given a touch of Vana'dielian spice in this brilliant rendition of the traditional festive ornament. From the beautiful empress at the top, to the wyvern waiting for a party and the Mithra with her munchings and crunchings, each character offers a story waiting to be told. 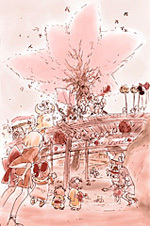 A flock of birds gather at a Heavens Tower decorated with peach blossoms. Far-Eastern festivity meets Windurstian culture. Bomb-shaped lanterns, the Troupe Valeriano, an Orcish Warmachine-shaped float, giant rice cakes... Look carefully and you may find these things and more in this remarkably detailed painting. Why, the festival put here upon this canvas may be just as extraordinary as the magic used to paint the town pink! This painting features women from four different races. The unique characteristics of each race come to life in this brilliant watercolor piece. We can only imagine that the ladies are chatting away about some secret love. 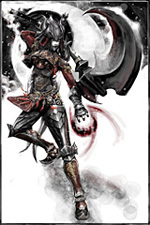 (My character in game.) 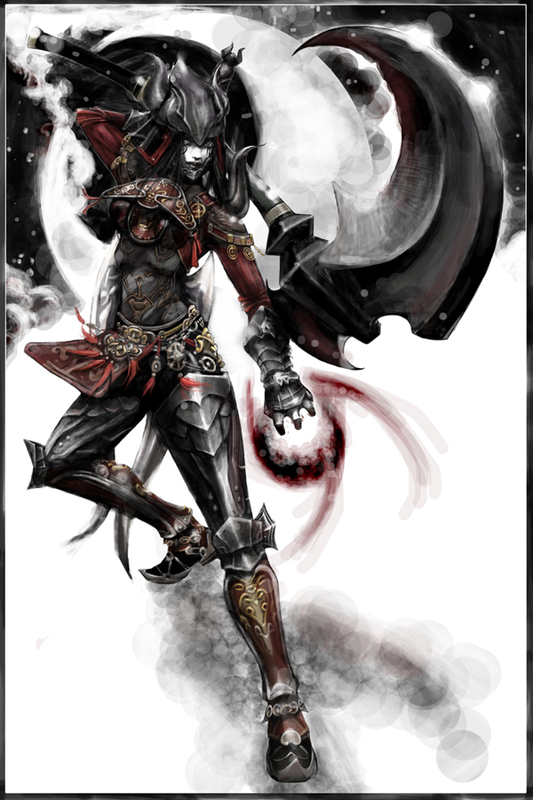 Famous Dark Knight of Sand'Oria.